In stock (27 Items Available) Can be back-ordered. 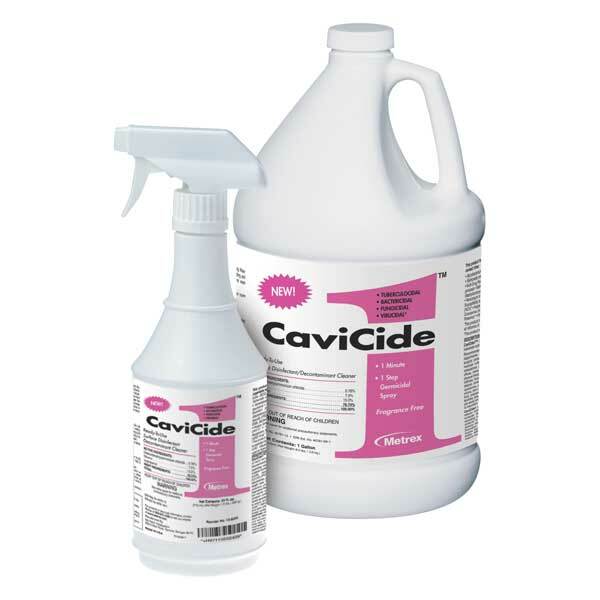 CaviCide1 Surface Disinfectant by Metrex is exceptionally fast and effective on hard and non-porous surfaces and can also be used on mostly all medical instruments. 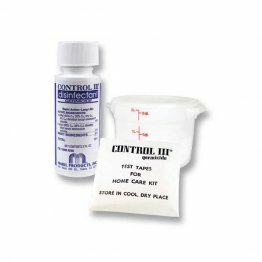 With no mixing or measuring required it will save you time and eliminate mixing errors. 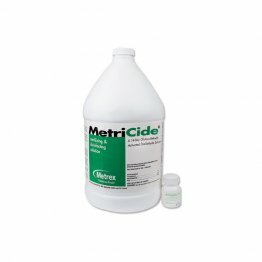 This cleaning formula will help minimize the risk of cross-contamination in healthcare environments. 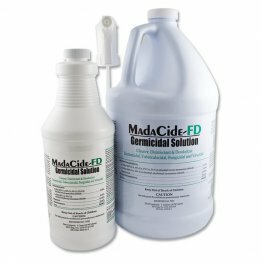 Within 1 minute this low alcohol solution kills 99.9% of TB, HBV, HCV, viruses (hydrophilic and lipophilic), bacteria (including MRSA and VRE) and fungi. 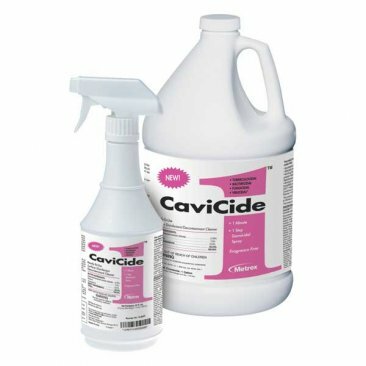 CaviCide1 can be used in operating rooms, NICU, isolation rooms, laboratories, patient care areas, and much more meeting all SHA standards.